3 and 4, Plate I., Fig. 3, Plate II., and Fig. 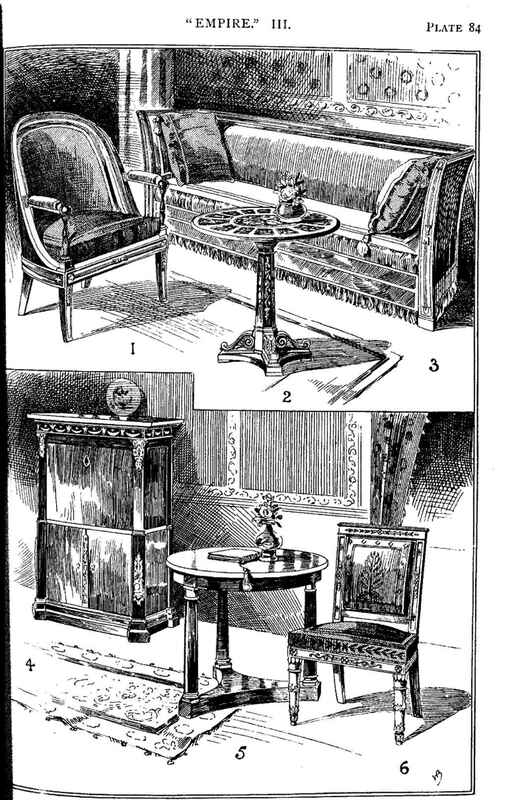 6, Plate IV., be carefully studied, it will be apparent that, in planning them, the designer had not completely lost sight of the " Louis-Seize" chair, and was not able, try as he might, to keep clear of its lines, but there the resemblance ends. The proportions are different—much heavier generally; the detail is in no way related to that of the preceding style, so the whole structures are endowed with a character entirely different from that which charmed the refined tastes of Marie Antoinette. 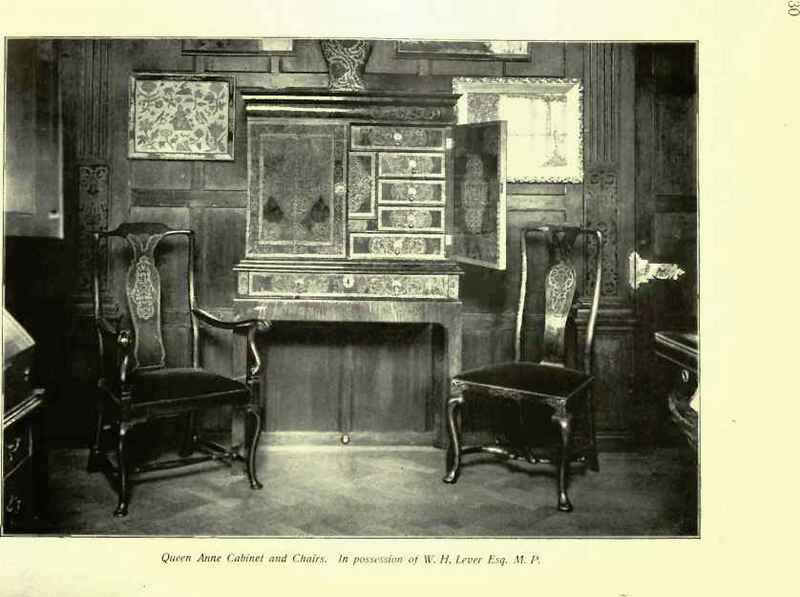 ^ For an " Empire" chair, that illustrated in Fig. 3, Plate I., is exceptionally light and graceful, and the shaping of the back is somewhat suggestive of the 44Greek" curve so popular amongst French designers of the period; but the massive arm-chair on the same plate (Fig. 4) is dignified enough to support the shade, or the body were it available, of Junius Brutus himself, passing sentence of death on his son Titus—an incident so ybeloved of Jacques Louis David. Here we have a strong reflection of the ancient Roman splendour, with its overpowering heaviness and confusing wealth of redundant detail. A careful observation of the arms will reveal the presence of the Imperial Eagle—in an embryonic state it is true. The front legs of the chair, I need not say, are 44 Louis-Seize " clothed in 44 Empire."